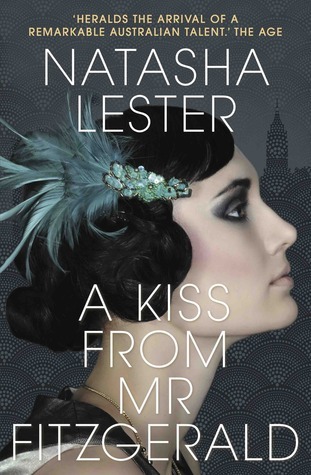 Natasha Lester is an author from Western Australia, and A Kiss from Mr Fitzgerald is her third novel. As you can probably tell from the book cover design, the title reference is to F. Scott Fitzgerald, but he’s not a character in the story. The allusion is to a way of life that beckons to a young American woman in the 1920s jazz era, a desire to live life to the full without the constrictions and conventions ordered by the Ladies’ Home Journal. Evelyn (Evie) Lockhart comes from an aspirational upper class family in Concord Massachusetts, and all that is expected of her is that she should marry well. On the surface she is on track to meet that destiny because her romance with the very eligible Charlie Whitmore from New York is doing fine. However, she has ambitions to set aside her degree in literature from Radcliffe College to do medicine, (obstetrics, no less), and in her milieu a choice like that is out of the question. Medicine is firmly in the control of men at that time, and the idea of a female doctor is scandalous. The upshot is that when she gets herself to New York and applies to do medicine as one of the first female students at Columbia University, she has to do it without family support – and her method of funding it is to become a Ziegfeld Girl. That’s not the only improbability in this novel, but my guess is that all the young women breaking into medicine at this time had lives littered with improbabilities. If not, they would never have escaped the confines of their gender. And A Kiss from Mr Fitzgerald was just what I needed to offset reading Xavier Herbert’s mammoth Poor Fellow My Country so I was willing to set aside the occasional improbability because the novel is well-written and engaging within its genre. I’ve tagged it historical fiction because the setting captures the era so well, but it’s also a romance. Charlie turns out not to be the man of Evie’s dreams, but he has an even more eligible brother called Thomas. However, his very eligibility makes Evie’s scandalous behaviour all the more awkward. There are twists and turns in the plot that sabotage the relationship, and Evie’s own assertive behaviour threatens her survival at Columbia too. While the love story is a bit predictable, because, well, you know how it will work out, Evie’s steely ambition coupled with resentment about the sexism seems realistic. Any of us who’ve tapped on the glass ceiling know just how hard it is to bide time and avoid ruffling the feathers of the powerful chaps in charge. Two things, and I don’t suppose this is a book I’ll ever read, but do you mind getting American fiction from WA? Perhaps the author lives there now, that would help. And the US had women doctors before Britain or Australia, by the 1920s they would have been common, though still of course a minority. Hi Bill, my guess is that this was a calculated commercial decision to help break into the lucrative US market. Good luck to her and any other authors trying to do the same thing, I say. I probably wouldn’t have read it if I hadn’t enjoyed her previous (LitFic) book so much. Historical fiction interests me but romance does not. However in this case, the novel was a welcome respite from Xavier Herbert’s heavy duty patriotism! By coincidence, I’m reading A Brief Take on the Australian Novel by Jean Francois Vernay, and I’ve just finished the chapter exploring what “AustLit’ is, so I’m thinking afresh about what I mean by my tag ‘for lovers of Australian and New Zealand literary fiction. One can’t do that without considering the case of Christina Stead and The Man Who Loved Children. More about that later. As it happens, I prefer romance to historical fiction, but yes, tailoring to suit the US market is a (necessary) pain. Look forward to seeing your definition of ANZL. You are a romantic! What fun! It’s interesting that, despite the current publishing predilection to market fiction as being drawn from an author’s real life, more and more Australian writers are finding success with historical fiction set in England and the US. If it is true that ‘the past is another country; they do things differently there’ (and I think it is) then it shouldn’t matter where you live. I like Aust Lit as much as the next person, but I don’t think Aust writers should be in any way constrained about where they set their stories. And if they are setting them in the UK and US for commercial gain, more power to them! The other point to note with historical fiction is that it can be a bit fraught if it’s set in Australia. Some people think it’s inappropriate to depict ‘an Aboriginal PoV’ (and that means different things to different people) and yet at the same time it seems inappropriate not to acknowledge dispossession. So I can understand if some authors want to sidestep that minefield. Thanks, Lisa, for this measured review. I haven’t read Kiss yet but it’s certainly getting good publicity and has a most enticing cover design. I am sure, deservedly, Natasha will do very well with it, both here in Australia and in the USA. I haven’t been in a bookshop this week (well, it’s only Monday) but I won’t be surprised to see this one on the display shelves. It really is a beautiful photo in its own right.